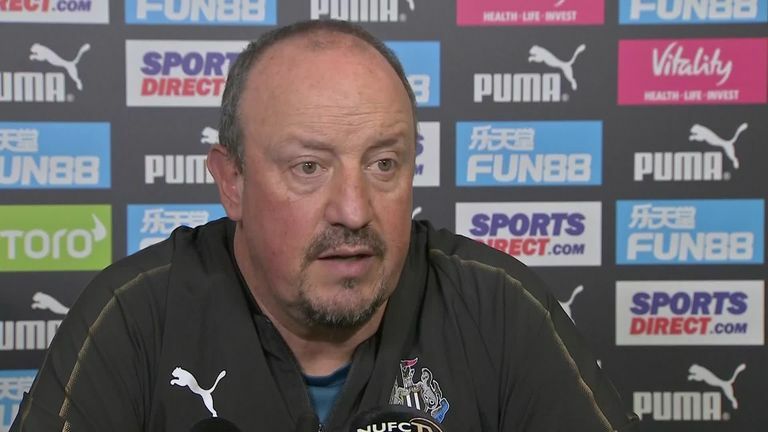 Rafael Benitez believes his side have to be "realistic and manage expectations" in their bid for Premier League survival. The Spaniard guided Newcastle to a 10th-place finish last season, and was nominated for the PFA Manager of the Year award. Having picked up one point in three games so far, Benitez admits he is expecting a tougher campaign this time around. He said: "Doing that, last year, nobody was excepting us to finish 10th. At the start, maybe 80 per cent of pundits were saying Newcastle will get relegated. Why? Because in theory it could be like that. "This year it is even more difficult, because Wolves and Fulham have spent a lot of money. If you see the table now, you see Cardiff, Huddersfield - we are around this league. We are ambitious but we are realistic. "The best way for us to get results and achieve what we want to achieve - that is staying in the Premier League - is to be realistic and manage expectations." Newcastle lost 2-1 on the opening weekend to Tottenham, and Benitez came under criticism for his defensive tactics in the recent 2-1 loss to Chelsea - which saw his side register just 19 per cent possession at St James' Park. Benitez's side are in action against champions Manchester City on Saturday evening, with the Spaniard stressing he is up for the challenge of trying to beat Pep Guardiola's team. "We lost against Tottenham with different tactics. Why? Because they have top-class players," Benitez added. "When you play against top teams they have a player that makes the difference. I am talking from my experience. When I was at Extremadura, my first game in Barcelona we did really well and lost 1-0. "What we have to achieve is to stay in the Premier League. How? Getting results. Where? We will see. How? Trying to play nice and good football if we can. If we cannot, some games you have to manage. "It doesn't mean we have to play this one way every time, or that our tactics are like that. It means that is the best for our club. "We want to achieve something that is so massive for this city. To stay in the Premier League. We need to find a way to do it. Nobody knows our players better than us, so I have a lot of confidence in them and am really proud of them."